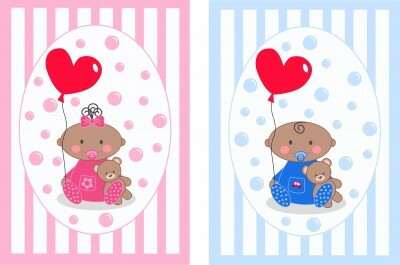 A baby shower is a great opportunity for mom and dad to get some needed baby supplies from family and friends. It is mostly though an excellent excuse for the mom to be to get pampered by the people around her. It is a special time for mom to celebrate the soon to be birth of the long awaited baby. This can be an exciting and even stress free endeavor if done correctly. For this special occasion, you will want to send out the most perfect invitation to all the mother’s friends and family to give them adequate warning so that they can schedule their time properly. You will do the mother justice by making it as easy as possible for everyone she knows to attend by mailing the invitations to the shower with enough time in advance. Another aspect to consider is the style and color of the invitation cards. You might want to include the gender of the baby on the card if known by the shower date. You could decide on the traditional colors: Pink for a girl, blue for a boy, or you might decide on more gender neutral colors. You can pick a classic picture of a stork on the front, but there are so many designs to choose from that you do not have to be bound by convention. You might also want to include items the mother has expressed a need for. This is so friends and family know what the family actually needs instead of buying duplicates of gifts or items that the family doesn’t really need and will just have to return later.